This is the third article on iTunes 10. It is important to know that there are two versions of iTunes 10 for Windows, 32 bit iTunes 10, does not works on 64 bit Windows 7. We have published an article on how to install 64 bit of iTunes 10 on your Windows 7 PC. As the Graphical User Interface of iTunes 10 (basically iTunes is like that from the beginning) quite different from Windows 7 GUI, it is very difficult to say Windows GUI, because Microsoft changes and modifies the GUI for every version. Anyway, we recommend SRS Audio Sandbox to be installed on your Windows 7 PC to get the best sound. 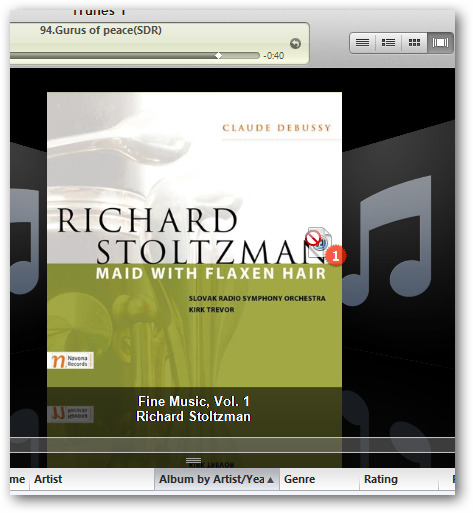 You can read iTunes 10 with SRS Audio Sandbox on Windows 7 “ Feel the Sound. Install the iTunes 10 package in the way we have wrote in how to install 64 bit of iTunes 10 on your Windows 7 PC. Restart the PC. You must know that iTunes 10, unlike other third part Media Players, does not depends on very important Windows 7 dll files which are shared by other Media Players. That means, you can easily run a Video on Windows Media Player (mute the sound on WLM) side by side. Other similar behaving sound related products are VLC Media Player, Sony Sound Forge and all Professional Audio Softwares. You can easily use exactly the same flipping Cover Flow in Windows 7. You can make it fullscreen, drag and drop (see my cursor) and flip using keyboard arrows or mouse. In Mac, all files and folders can be handled in this way. 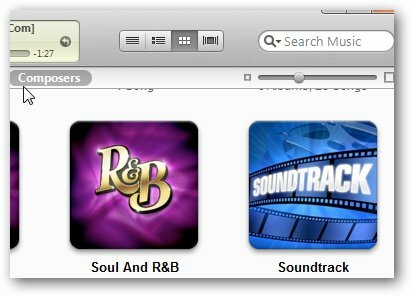 With iTunes Dj, iTunes 10 automatically picks and plays the musics from your other iOS based devices. 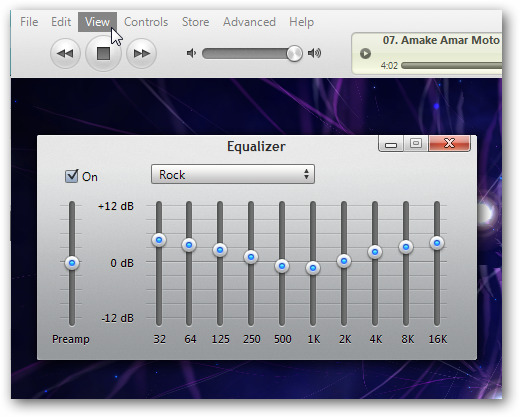 iTunes 10 has many GUI features of real Mac. The progress bar animation in Windows iTunes, however is not so sweet like Mac. This Article Has Been Shared 3711 Times! Cite this article as: Abhishek Ghosh, "iTunes 10 – Setup and Usage Guide For Windows 7 PC," in The Customize Windows, October 4, 2011, April 25, 2019, https://thecustomizewindows.com/2011/10/itunes-10-setup-and-usage-guide-for-windows-7-pc/.